The year has finally come to a close and the new year is upon us… Goodbye 2016, not gonna miss ya! I will however say that I look forward to all of the new art projects and paper artists that will pour into 2017. 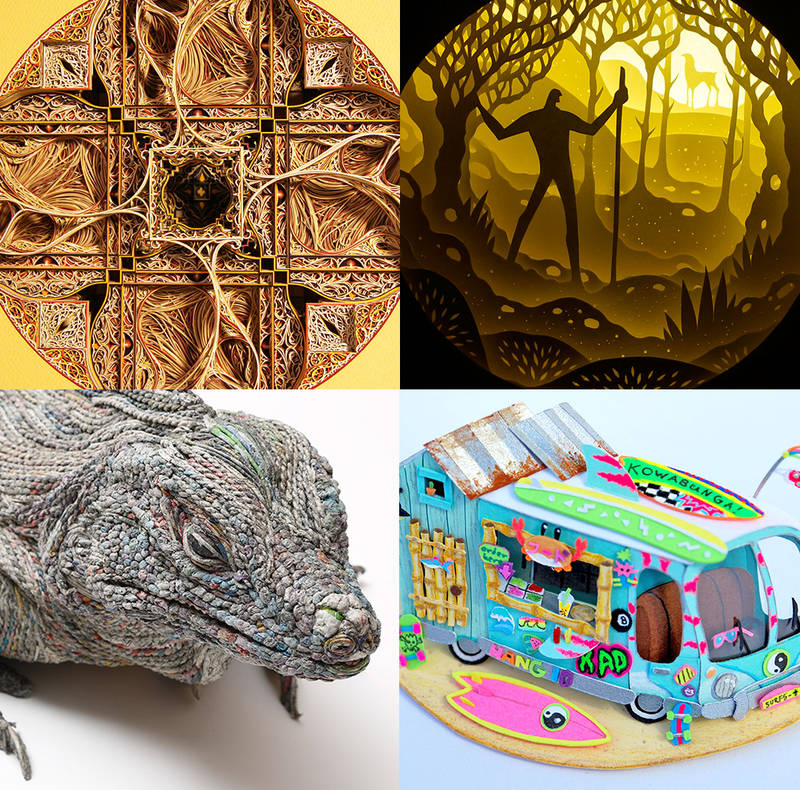 So let’s take a look back to the 20 most popular posts from 2016, which span categories such as handcrafted paper sculptures, colorful installations, intricate origami, whimsical set designs, animations with projection mapping and so much more! Happy New Year from Strictlypaper! A paper crafted diorama that uses animated projection mapping to advertise the journey of two couples falling in love over Mikimoto Jewelry by talented duo Davy and Kristin McGuire. 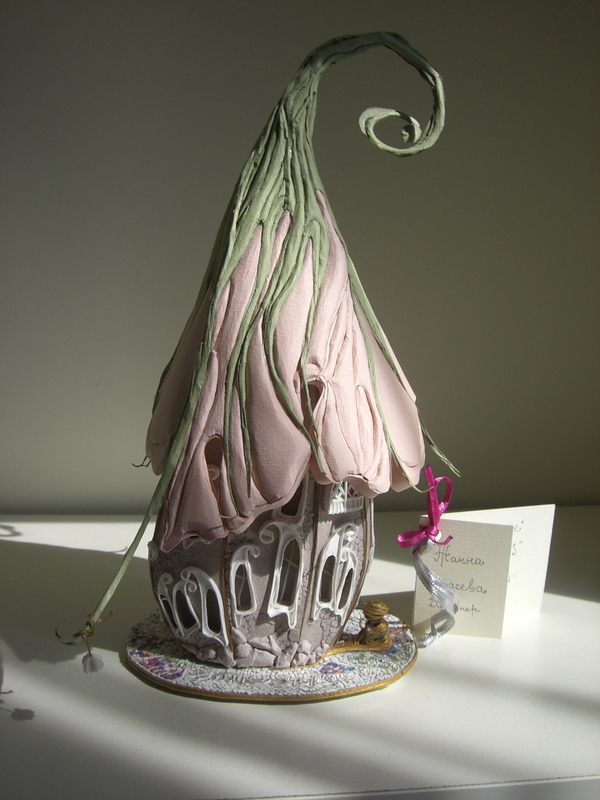 Russian designer Joanna Karaseva designs these wonderfully charming miniaturized paper houses, lighthouses in particular, that feel as if they are plucked from the secret world of fairies. 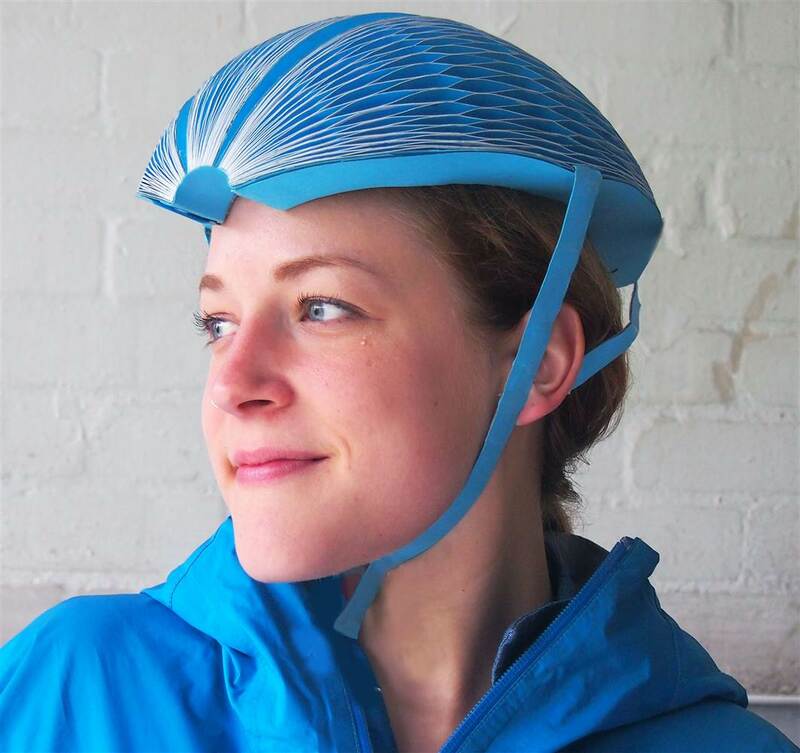 Industrial Designer Isis Shiffer has created a durable, expandable paper Ecohelmet to change the accessibility of helmets for commuters across the globe. 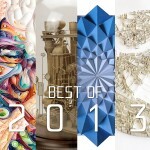 Not only that, it won the Dyson Award, now that’s my kinda product! 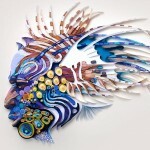 Italian designer Adriana Napolitano’s set of paper portraits in various themes, such as the giant wave pictured above, to a gentleman in a full blue luchador costume, to her and her good friend Linus as twinsies! UK based freelance artist Ryan Hall has a love and influence from pop culture, science fiction and just plain old wacky. 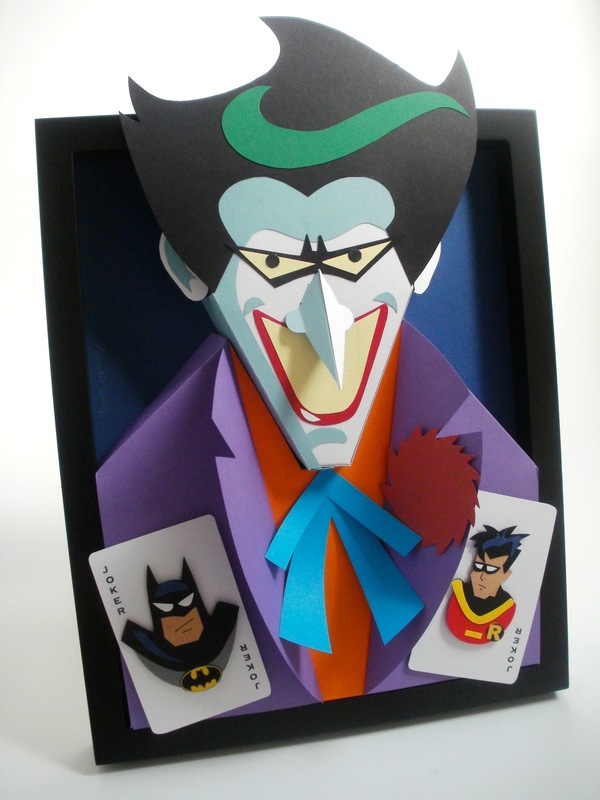 His work consists of 3D based paper toys sometimes in the form of a card or even just as a toy model. In this installment he has featured Fred Flintstone, Doctor Who, Star Wars and even Batman, playing into the classics we all know an love. 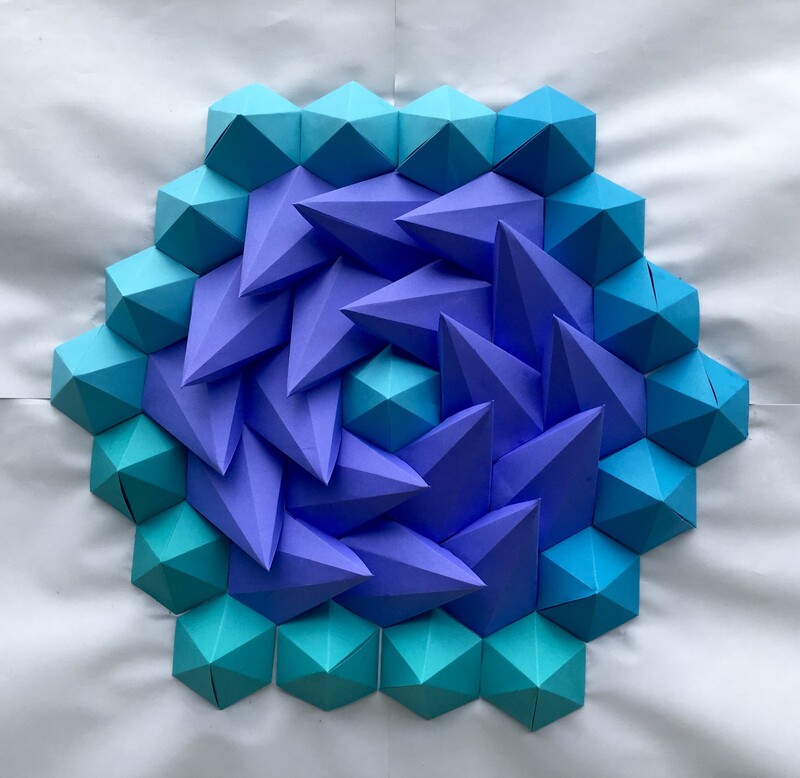 Richmond based paper artist, Brandon Clark, has combined and transformed his four passions: photography, math, graphic design, and drawing into these beautiful and bold series of 3d hexagonal wall art inspired by math in kaleidoscope tessellations. 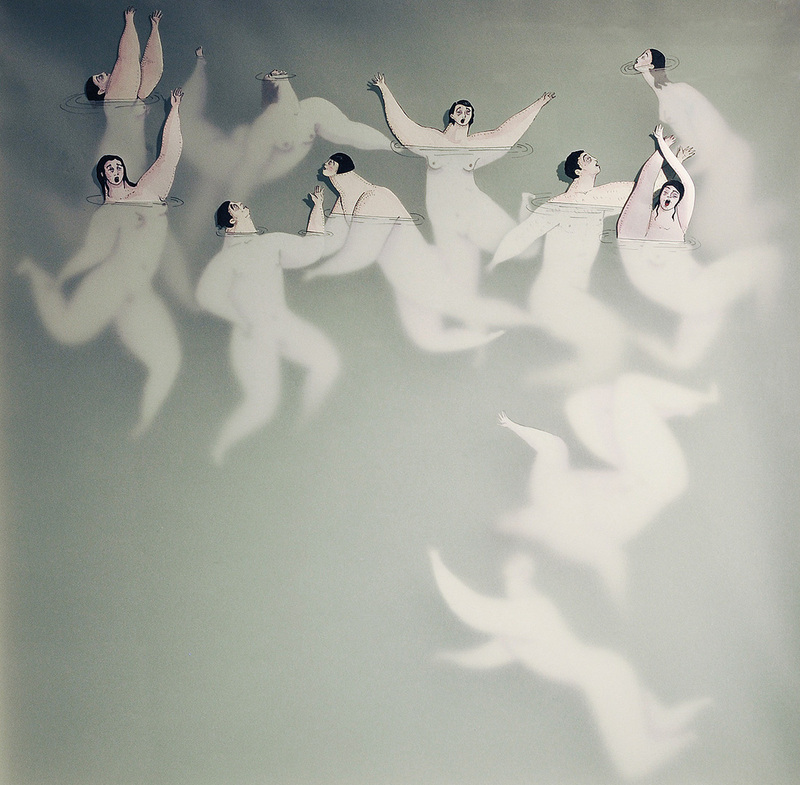 Spanish artist Sonia Alins has created this surreal paper cut illustration series entitled Into the Water (Dones d’Aigua), featuring several women with exaggerated proportions floating, and some even appear to be dancing, in the water. 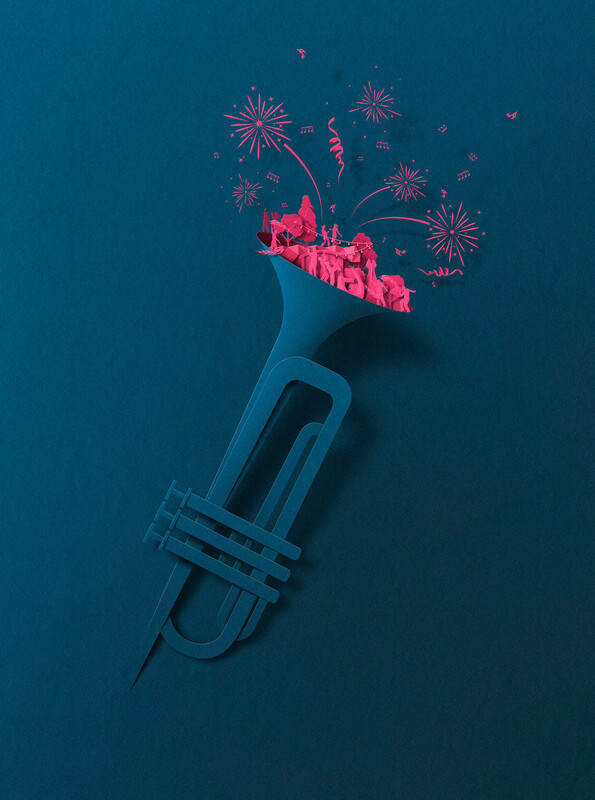 Eiko Ojala, a superbly talented master of digital art, has created this poster series for the Wellington City Council in New Zealand, mimicking the look of cut paper, for events over the summer. Fit enough to be in our ever growing Not So Strictly category, which features projects that are either inspired by or mimic the look of paper. 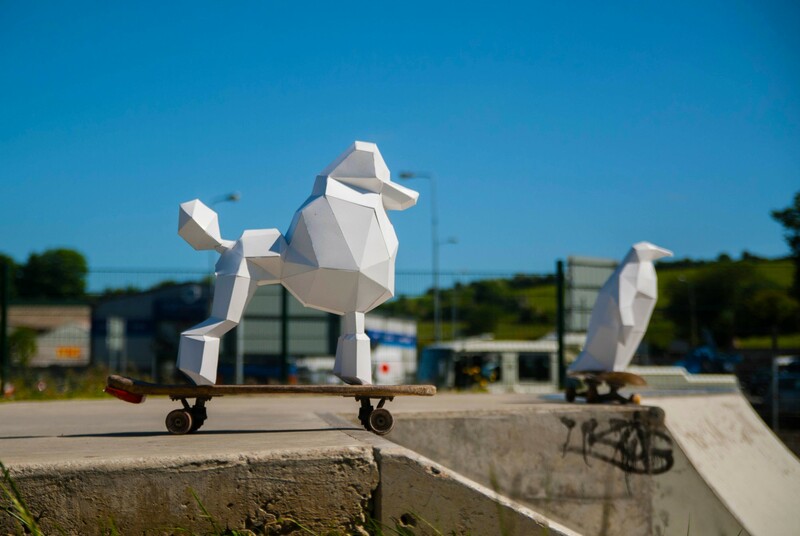 Ireland based papercraft pet maker Brian McSwiney has created an unlikely pairing of a poodle and penguin having a good ol’ time riding around on their skateboards! He is the mastermind behind PaperPetShop, a shop dedicated to making templates of all of your fave animals in one place. 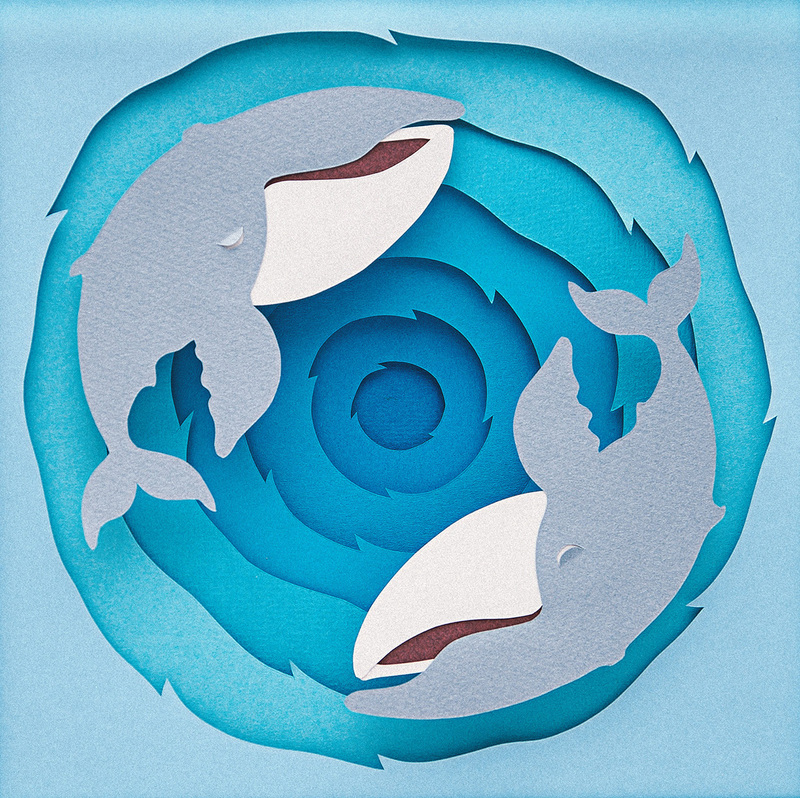 These recyclable polygonal paper toys roughly consists of 200 polygons, making the challenge each user takes from two dimensional to three dimensional an enjoyable paper crafting journey. Originally hailing from Prague, Portugal based freelance illustrator Vaclav Bicha has created this series of adorable and whimsical paper cut illustrations featuring colorful animals that have been made into a relief sculpture as a personal project to complement the rooms of his daughters. So cute! 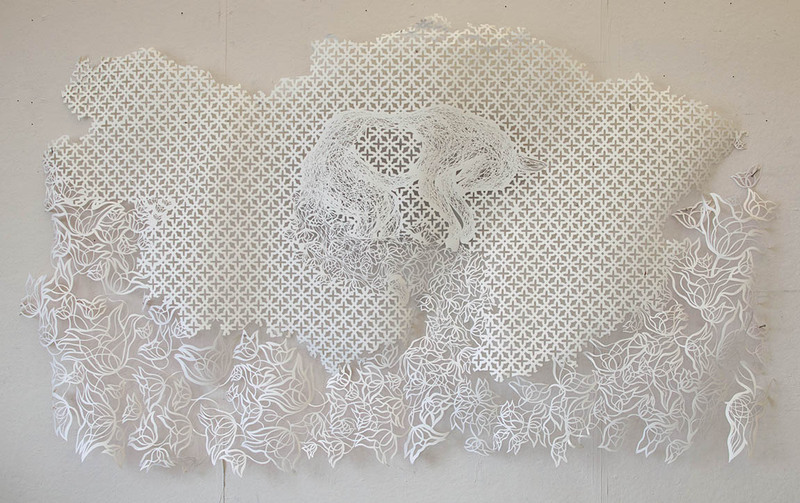 Antonius Bui is a Vietnamese American paper cut artist, whose fascination with the layers of meaning behind jali screens led him to compose an exquisite and intricate nature cut paper series based on his personal interpretation. Yulia Brodskaya‘s work is widely known around the world and the web for their stunning and vibrant qualities. 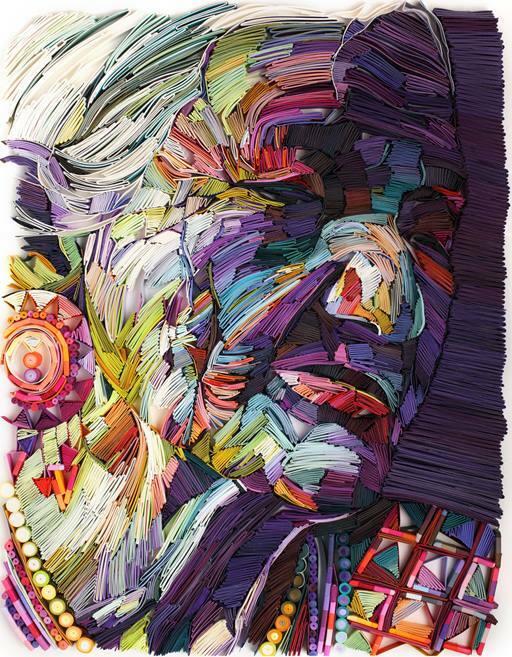 This trio of wonderfully quilled portraits use a newer technique, where she stacked color blocks to give the illusion of a thickly brushed painting from afar. 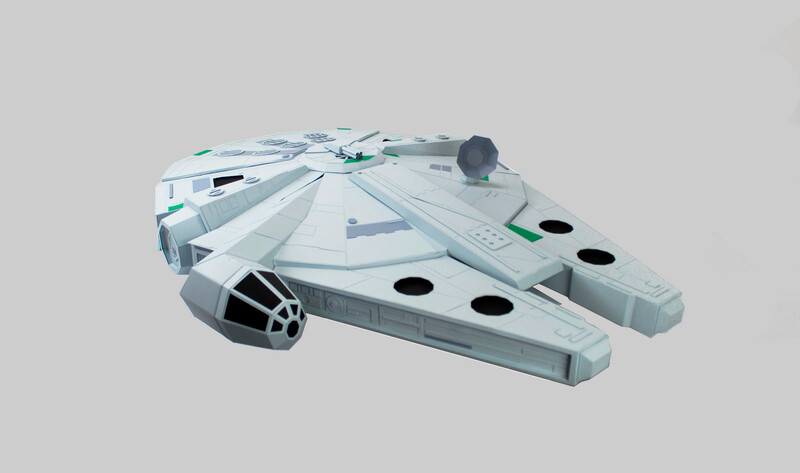 Oupas Design, based in the heart of the city of Porto, Portugal, has designed a papercraft spaceship from Star Wars, that we all know and love, for Blip’s team, which just so happens to be named Millennium Falcon. 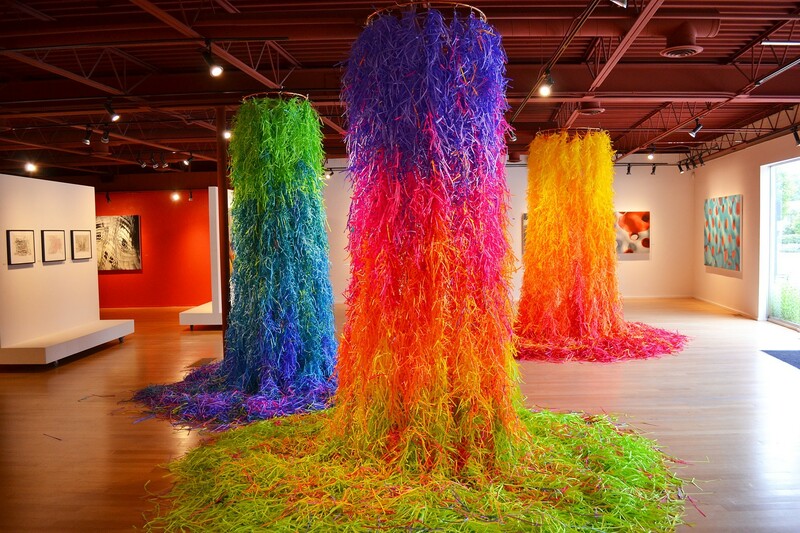 Mixed media artist Travis Rice creates psychedelic installations that burst with overflowing, colorful shreds of paper by the thousands. 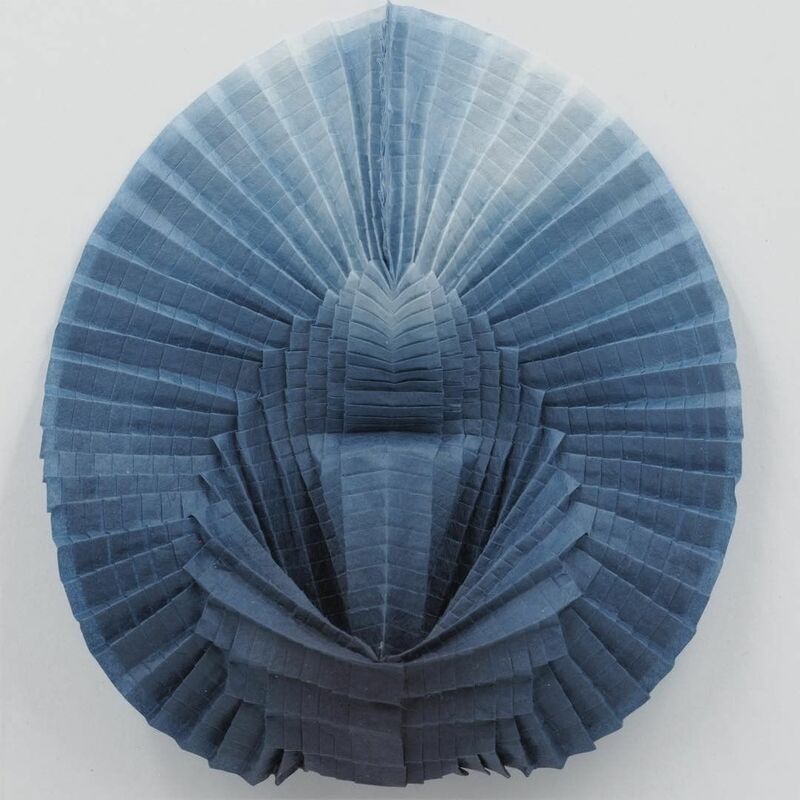 A series of beautiful tessellated origami pieces by Goran Konjevod that remind me of the creatures you would find winding and twirling in the bottom of the sea, each having their own defined grace and movement. A lighthearted fairground animation handcrafted in paper and brought to life by the talented Makerie Studio and André Gidoin. A Wizard House, Surf Shacks, and Haunted Houses, OH MY! 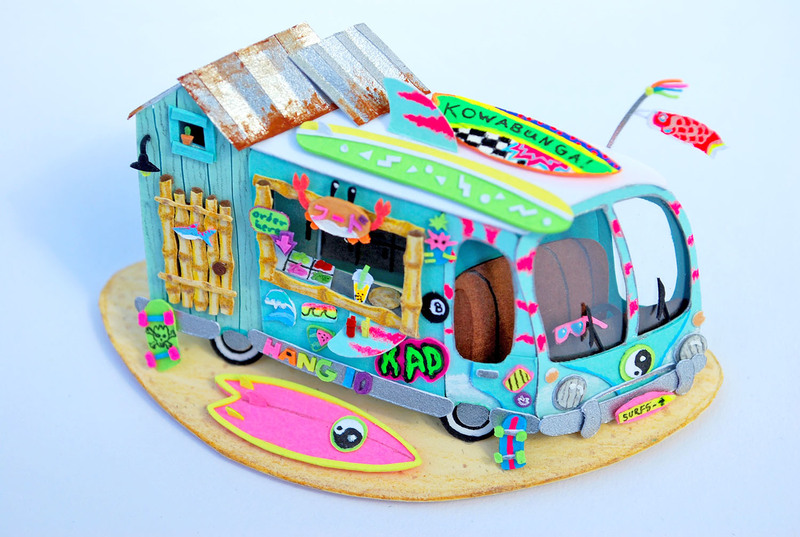 A vibrant and miniature themed paper house series by Cameron Garland. 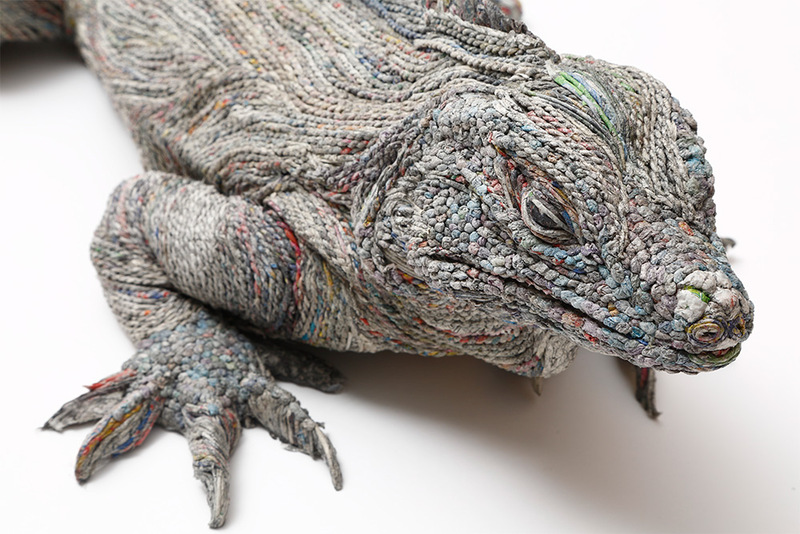 After carefully rolling, cutting and placing each piece meticulously, Chie Hitotsuyama is able to breath artistic life and value through recycled newspaper and repurpose them into these beautiful creatures. 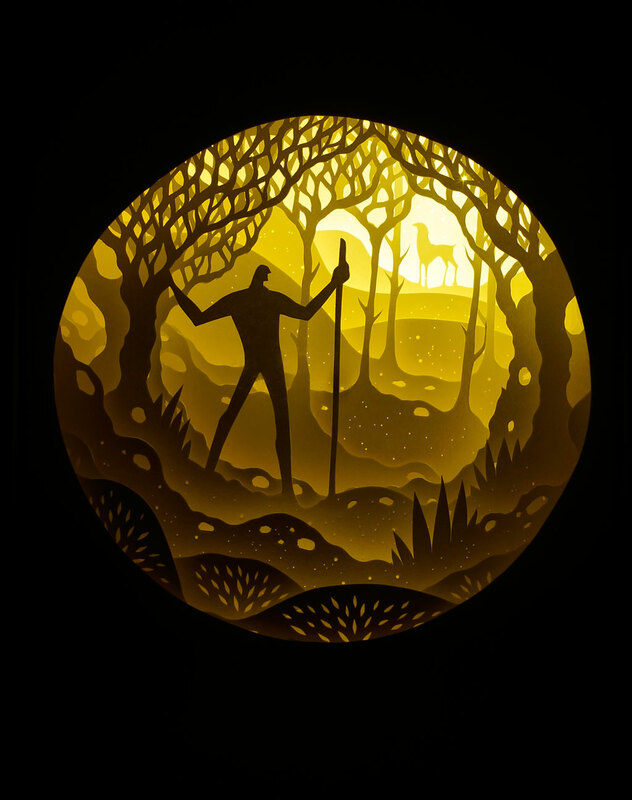 Colorado based paper artists Hari & Deepti have created an astounding collection of incredibly picturesque illuminated cut paper dioramas that illustrate scenes of wondrous adventures and travel to fantasy worlds. 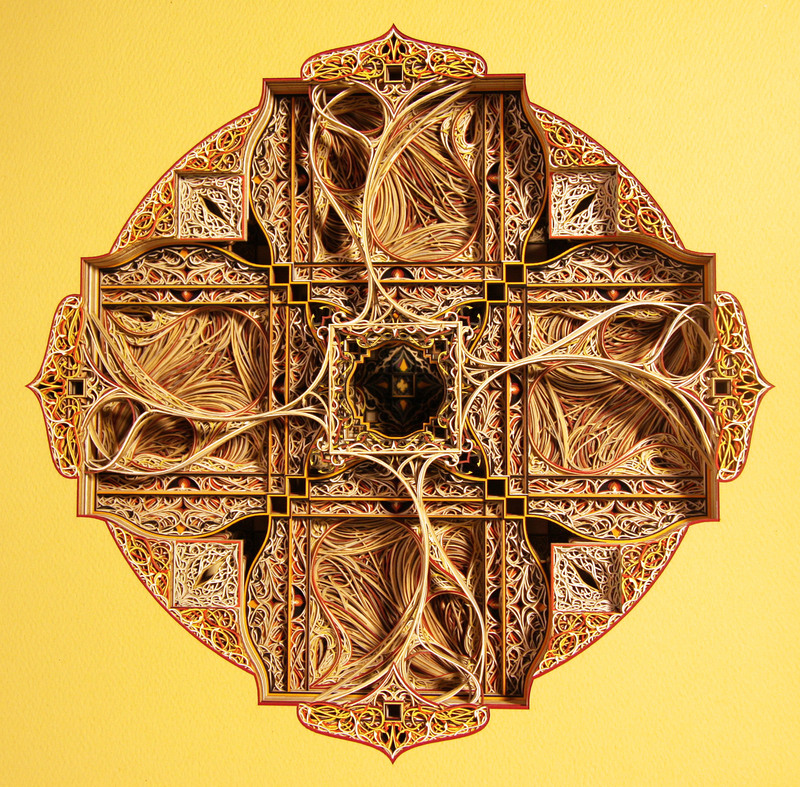 A new installment of Eric Standley‘s beautifully intricate stained glass windows from colorful laser cut paper. 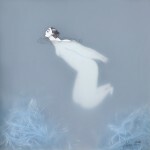 Be sure to check out the rest, they are absolutely mind blowing! Well that’s all folks! Unless you want to see some more… if that’s the case you can check out our 6 year anniversary post! I have to say thank you again for all of your support over the years and I hope that you have enjoyed and continue to enjoy the artist features. We will be releasing our very first newsletter in the new year and we would be so thankful if you could let us know what YOU would like to see. Also don’t forget to sign up! It’s nice to have feedback from our readers and also if you just want to give a shout, that’s nice too. Feel free to comment below or shoot us an email. Also on a side note, if you or anyone you know of would like to be featured or interviewed, please feel free to give us a shout! Looking forward to hearing from you and all the best. Happy New Year! This entry was posted in advertising, animation, collage, illustration, installation, origami, paper toy, product design, sculpture, strictlypaper and tagged adriana napolitano, antonius bui, brandon clark, brian mcswiney, cameron garland, chie hitotsuyama, eiko ojala, eric standley, goran konjevod, hari and deepti, isis shiffer, joanna karaseva, mixed media, oupas, quilling, recycled, ryan hall, sonia alins, the makerie studio, top 20, travis rice, vaclav bicha, yulia brodskaya. Bookmark the permalink.